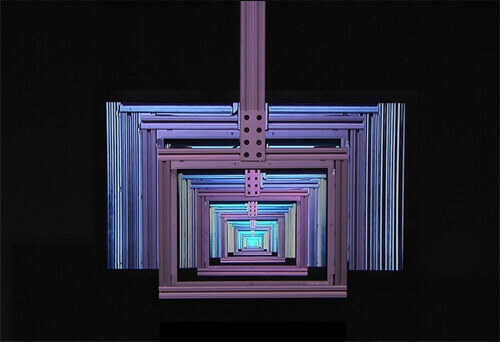 Jonathan Brainin (that last name is every nerd’s dream) showed “Pendulum Video” as part of Currents New Media Festival in Santa Fe, New Mexico. 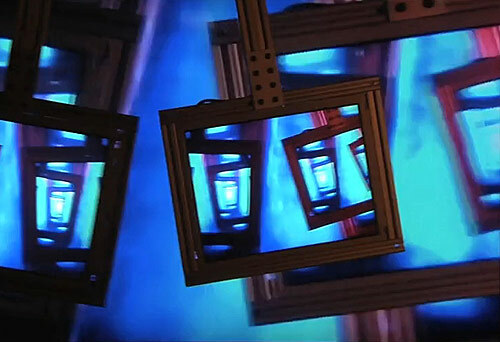 This version of the work was comprised of two pendulum televisions. Further proof that the best ideas are the simplest ones!